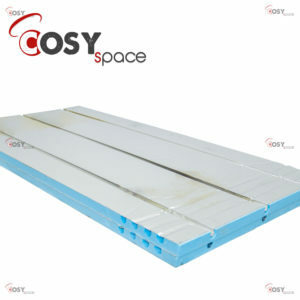 Floating Floor System suitable for both domestic and commercial applications. 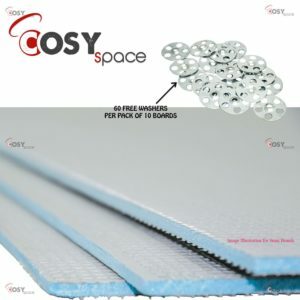 The board thickness is 25mm and you simply lay the panels onto your existing screed/floor boards, install the pipe and cover with a interlocking plywood or chipboard floor. 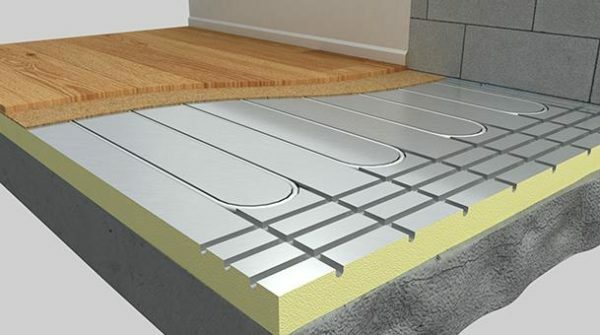 Ideally suited to existing floors where screed is already laid and a low height water system is required – Our grooved foil covered insulation panels are of a unique design and provide many advantages over other insulation products when used with 16mm polythene pipe underfloor heating systems. 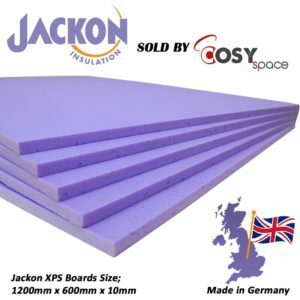 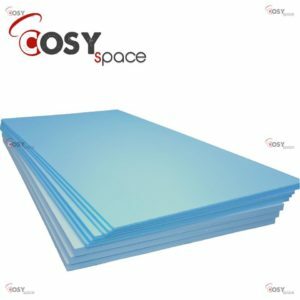 Effectively four products in one, these Insulation Panels comprise a rigid thermal insulation material with radiused grooves at 200mm spacings positioned in the upper surface. 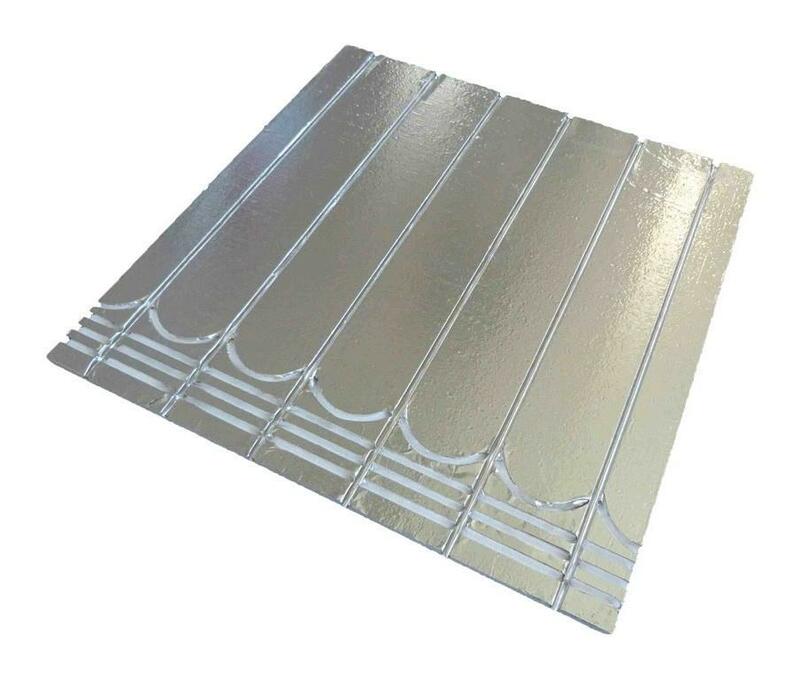 The upper surface has a metallized foil bonded to it, following into the grooves, which acts as a radiant surface improving heat transfer and reducing system start up times. 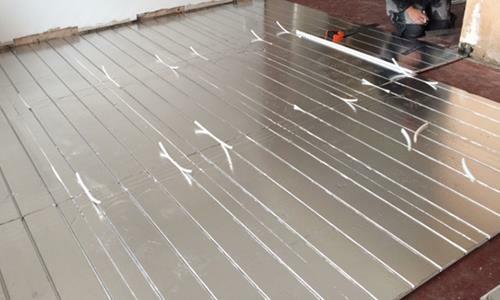 The grooves in the insulation securely retain 16mm Pex-Al-Pex pipe in the correct position, eliminating the need for supplementary fixings.